The Holiday Edition of the 2016 Yoyo Buyer’s Guide. This is the 2016 Edition of the Holiday Yoyo Buyer’s Guide Update. 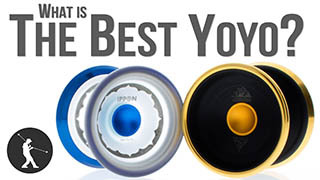 By an update, what we mean is we are just kind of filling in the gaps left by the 2016 edition of the yoyo buyer’s guide, because some new yoyos have come out since that guide was released, and also some new colors, and just some other stuff we want to talk about. 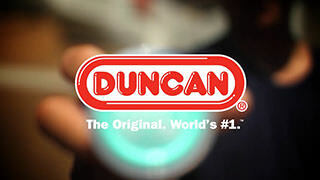 Now if you have not seen that Buyer’s Guide, you definitely want to check that out because we give you all the tips that you need to get into yoyoing for the first time, and some unexpected stuff that you might not realize that you need. Also, all of the picks that we had in that video are still our top recommended choices. So you want to go check that out. This guide is more to let you guys know about new products that have come out since that guide was made. 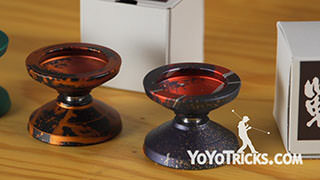 Also, some new colors of yoyos, and just a few more things that we wanted to let you know just in time for the Holiday Season. 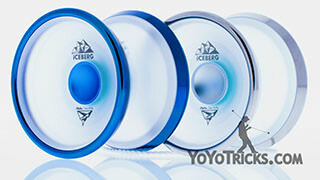 As we talk about different yoyos in this guide, you can check out those yoyos. We are going to have a link up here that you can click. That will take you to those products on our website. The first thing that we wanted to talk about, we did mention in our regular yoyo buyer’s guide, the First 50 Yoyo Tricks Pack. 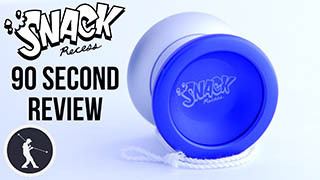 This pack is designed for brand new players who just want to really jump in and get right into yoyoing in a serious way. So this pack was designed with three yoyos in it. 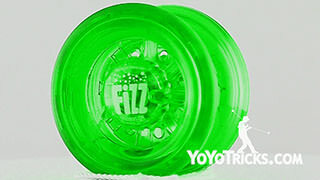 That allows you to get into 1A, which is the most conventional style of yoyoing, as well as 2A style yoyoing, where you use tow at a time and it has got all the accessories and everything you need in order to get into those styles. 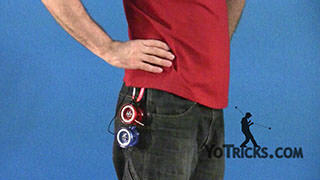 We designed this pack to go along perfectly with our First 50 Yoyo Tricks List, which are the first 50 yoyo tricks we recommend you learn if you want to get serious about yoyoing. 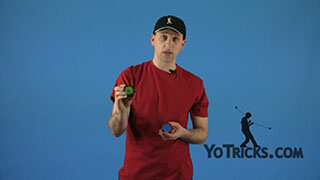 The cool thing about this list of tricks is that by the time that you are done learning all the tricks in the list, you are prepared to get into the other three styles of yoyoing. 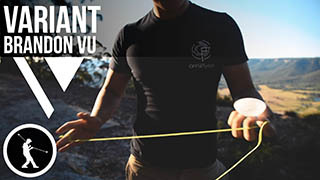 That is, 3A, where you do string tricks with both hands at the same time, 4A which is also called Offstring style yoyoing, and 5A, which is called Freehand or Counterweight style yoyoing. Because of this, we thought why not just make a pack for the yoyo enthusiast who just know he wants to get into every single style, and so we did. 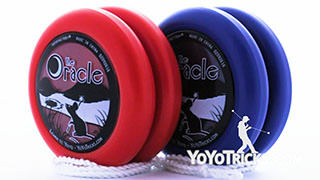 It is the Five Styles Yoyo Pack. 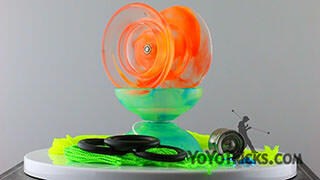 In this one, what we did, is we included the yoyo that we recommend most for getting into each of the five styles. 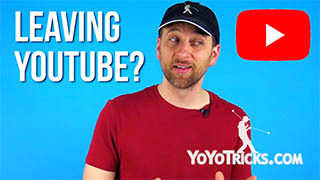 Just like the first 50 yoyo tricks list, we recommend just going through that list and then after that you can start learning tricks from all the other categories on our site as well, and you have got the perfect yoyo to do it. 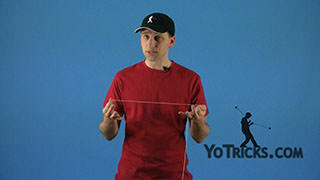 In addition to that, we also included the Five Styles Yoyotricks.com Shirt. That just kind of completes the package. In addition, we have got some new colors on a lot of our most popular products, including the Sage. We just came out with the Winter Edition, which is white, as well as an Ann Connolly edition, which is purple. She will be using that in some of the tutorials that she is going to be teaching in the upcoming weeks. 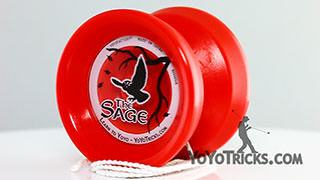 Because the Sage is in the first 50 yoyo tricks pack, as well as the five styles pack, you can of course get those colors in those packs as well. Now the Canon, we got our first splash edition Canons in stock, and they look really awesome. We also got an Ann Connolly edition Canon, which is purple, and she will be using that to teach tricks in the rest of her tutorials. If you have been thinking about getting a Horizon, you may have also seen some of the great premium splash editions that they have been putting out, which are really awesome. 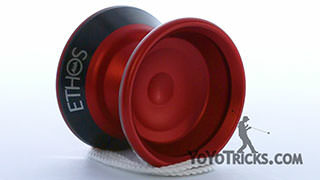 With the Atlas, this yoyo was out of stock for a long time, and we are finally able to bring that back. 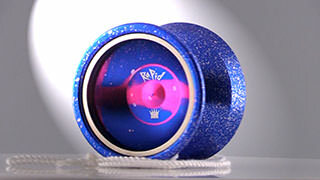 We also got it made in a really nice blue and aqua splash, that a lot of people have really enjoyed so far. 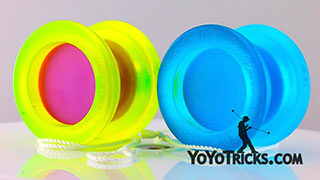 In addition, with the Shutter yoyo, yoyofactory decided to do a little bit of experimenting with this, so they came out with some new fade designs, which look great. Gentry Stein actually used a fade Shutter to win the 2016 US National yoyo contest. If you have not seen that, you will want to check out that routine. 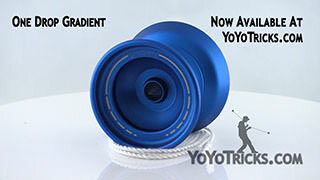 Yoyofactory wanted to take it even one step further, with the Shutter, and so they decided to come out with a very limited run of the Shutter made with Titanium. Only 240 of these were made, and they were only sent out to very select retailers, and we were able to get our hands on some of those. 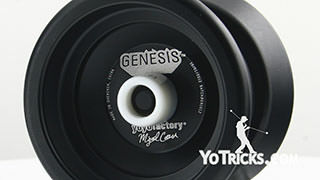 This is the most premium yoyo we currently have on our store, so if you are a fan of Gentry Stein and the Shutter, and you really want something that is just kind of above and beyond, this si definitely the yoyo you want to get. 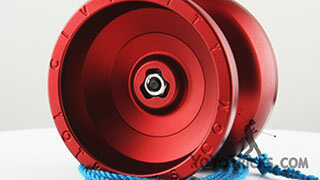 Speaking of premium yoyos, in late August, we released a brand new yoyo that we designed with Sengoku yoyos called the Forge. 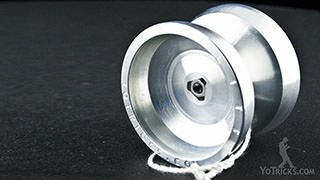 The Forge is special because it is made out of a newer aluminum alloy that is particularly new to yoyos. That is a really hard alloy, that allowed us to make extreme design choices, and make a yoyo that was exactly what we wanted it to be. Now, a lot of our customers who got these have been giving us feedback, and their feedback has been very consistent that this yoyo really is a step above other models that they have tried. So we have only got a few of these left, so we wanted to let you guys know that if you were thinking about picking up one of those, you definitely want to get that sooner than later. 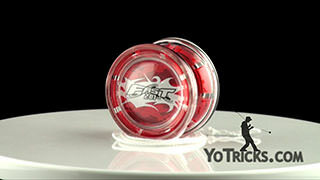 The last yoyo that we want to bring to your attention has really taken the yoyo world by storm this year. That is the Skyva. 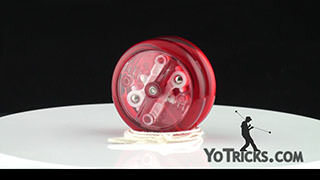 We have a full review on this yoyo that we definitely think you should check out. 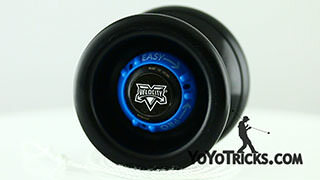 The main thing that has everyone so excited is that this yoyo is the best yoyo that we have ever tested for finger spins. What is amazing about it is that it is really great for finger spins, it makes them really easy to execute at first. Also it is great for advanced finger spin tricks. 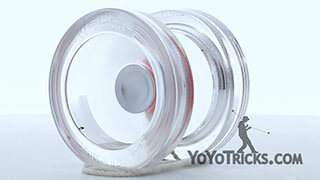 Beyond that, the yoyo is just really well designed and it is great for a full range of yoyo tricks. At just 20 dollars, it is really not that expensive. 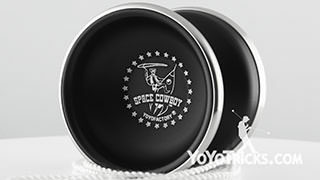 So if you are interested in finger spins, and you just want a really reliable yoyo that is good for all kinds of tricks, this yoyo is kind of a no brainer. Finally, if you are thinking about getting a gift for someone that you love and you are looking at all this and you just have no idea what to get, just get a gift certificate. Those are available on our store. I am sure that anyone would be happy to get one of those. So we hope that you have a great holiday season, and we will see you next time.